SUDBURY, Ont. - Voters in this northern Ontario city head to the polls Thursday in a hotly contested byelection overshadowed by criminal allegations against the Liberals and turncoat barbs aimed at their candidate. 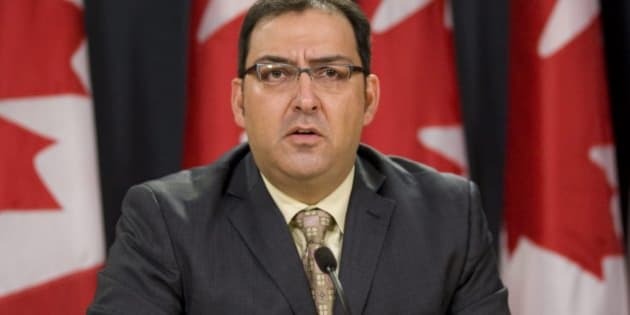 The political intrigue began when the Ontario Liberals wooed NDP MP Glenn Thibeault, who had been looking for an out from his party, to run for them. Thibeault, spending the waning hours of the campaign canvassing, said Wednesday that people wanted to talk about his party switch a lot at the beginning of the campaign, but now it has "faded off." When he knocks on doors people mostly want to talk about health care, jobs, infrastructure and education, he said. The New Democrats did not take the floor-crossing lightly. Federal Leader Tom Mulcair called Thibeault manipulative, untrustworthy and "beneath contempt" in a recent Sudbury Star interview. "(Those comments are) a perfect example of one of the reasons why I had to leave the NDP," Thibeault said. "Their negativity is something that has become constant and that's not the type of politician I try to be." The trouble only deepened when Premier Kathleen Wynne and the Liberals told Andrew Olivier, the Liberal candidate in the June general election, Thibeault would be appointed, rather than holding an open nomination. Olivier alleges the Liberals offered him a job or appointment for stepping aside. Instead of going quietly he made his allegations public and later released audio of his conversations with two Liberals, which Olivier says back up his claims. Olivier has said Wynne made no specific job offer but he wasn't able to record his conversation with the premier due to technical difficulties. The opposition parties said the Liberals' actions amounted to bribery and asked the Ontario Provincial Police and Elections Ontario to investigate. The Liberals denied the bribery allegations, saying they were trying to keep Olivier involved in the party after Thibeault's appointment was already decided. Ontario NDP Leader Andrea Horwath, in Sudbury campaigning for candidate Suzanne Shawbonquit, said there is a sense of disappointment in the community about both Thibeault's defection and how the Liberals dealt with Olivier. "Not only do people see this as a move that was personally motivated, that was more about Glenn and the Liberals than it was about the people of Sudbury, but they feel it feeds into a sense of cynicism around politics and they don't like that," she said. Olivier, who is now running as an independent, said he wants to focus on the issues and convince supporters he can still effect change. "This election is about integrity, it's about openness and I don't want to be the guy who is going to win this campaign because he caught the other team cheating," Olivier said. He is trailing Thibeault and Shawbonquit, who polls suggest are in a close race. The byelection was triggered when New Democrat Joe Cimino resigned after just five months on the job. The Liberals had previously held the seat for 19 years, so with the former stronghold in play again, Wynne has showered attention on the riding. When she arrives in town Thursday it will be her sixth visit since calling the byelection. And it seems voters are more engaged, with advance polls showing a higher turnout than advance polls in the general election.